3 How do Hard Drives Work? 5 Which Hard drive is right for you? The PlayStation 4 is easily the best-selling gaming console on the market, and for a good reason. Its base model offers better specs than its biggest competitor, the XBOX one, and the “Pro” version is capable of playing native 4k content. But even though Sony’s fourth gaming console packs arguably the greatest amount of power than any other console, it still has plenty of room for upgrades. One of the most beneficial and practical upgrades that can be made to your console is putting in a larger hard drive. This posts specifically covers 2TB hard drives. If you’re looking for more external options, check out our post on the best external hard drives for the PS4, or the ones just on gaming hard drives in general. We cover standard gaming hard drives and solid state drives for gaming in great detail. We will start with the ever so popular external hard drive; again this hard drive will only work with the new 4.50 firmware update that Sony pushed out in March of 2017. If you have not yet updated to this firmware, and you are not willing to do so, then go ahead and move on to the next product. 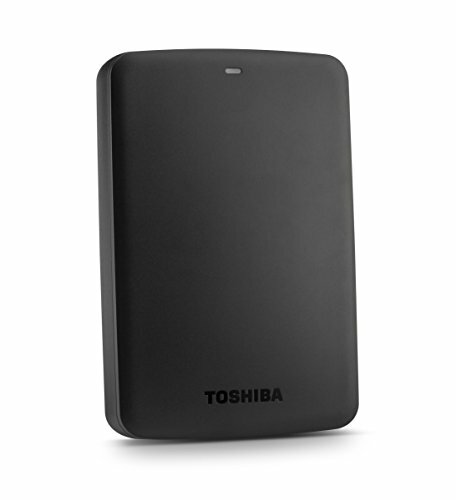 Toshiba is a very reputable company, and their external hard drives rarely disappoint. They are easy to manage, even easier to install and offer you a quick, inexpensive way to up the storage capacity of your console. Powered by a 3.0 USB cable so you don’t have to plug it into the wall, saving you tons of money on your power bill. The plug and play ability of an external hard drive is very convenient because it adds storage space without the hassle of taking your console apart to do so. When you are able to find an external hard drive that doesn’t require software installation to reach its full potential is an added bonus. If you are looking for an easy way to upgrade storage at an inexpensive price point, this is a terrific option. Please note: For Mac compatibility this Hard Drive requires reformatting. Reformatting the drive will erase all content unless it is backed up to another drive. Refer to Application Guide for guidance on this. 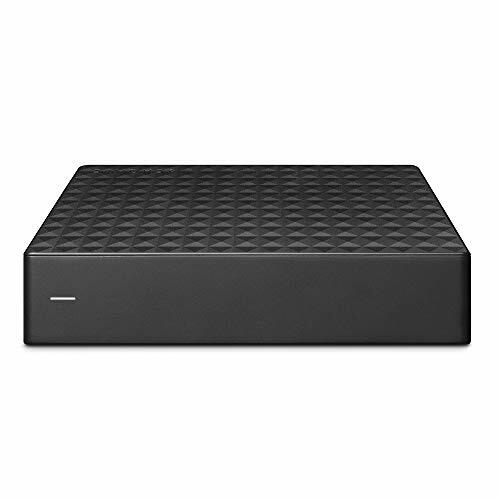 This is another plug and play device that gives you plenty of storage (this is the 2TB model, but they have options that go as high as 8TB). The downfall I see of this device is that you will have to plug this into the wall in order to keep the power on. But the fact that you have the ability to add up to 8TB makes this a device with looking at. Because this is an external hard drive, you will need to update your PS4 to the 4.50 firmware, if you are not willing to update to this firmware you should not get this (or any other external hard drive). Otherwise, this could be an option that would be good for you. Seagate's highest capacity, thin (7mm) laptop drives at 1TB and 2TB. 5400rpm. This Seagate hard drive will plug directly into the internal hard drive slot inside of your console, replacing the Playstations stock hard drive disk. The benefit of replacing the internal hard drive is that the disk of your hard drive is never spinning when it isn’t needed, effectively prolonging the life of your hard drive. It will give you the ability to access your content directly from your PlayStation while staying relatively inexpensive. 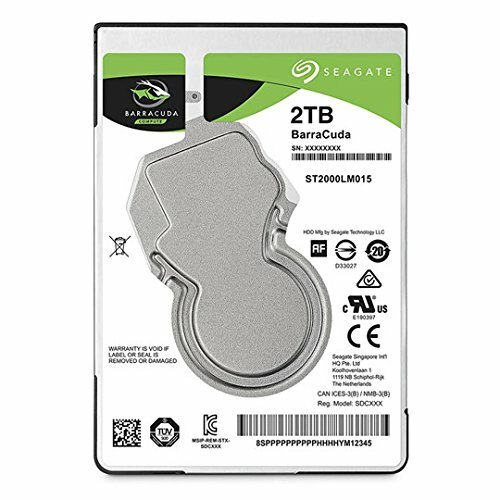 If you are looking to add storage affordably, and you aren’t worried about improving loading or downloading times, then the Seagate 2TB Laptop HDD is an excellent fit for you. Its 5400 revolutions per minute spindle rate are the same as the stock hard drive so you will not have any drop off in speed, but you’ll have plenty of space for your games. Okay, now we are starting to get into the hard drives that are going to add a bit of extra speed to your PS4, and the Fire Cuda will do just that. Because it is a hybrid drive, it will give you some of the benefits of a solid-state drive, without having a SATA 3 connection. Hybrid hard drives are best utilized on the “Day 1” PlayStation 4’s or the PlayStation 4 slim models because they are not capable of using the added speed you get from SATA 3 drives. If you want something to add storage space and give you incremental speed boosts, then you should enjoy this product. 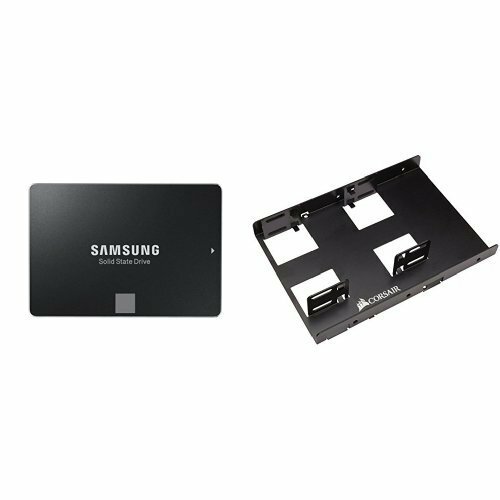 Solid state drives are built specifically for speed, and this Samsung hard drive is going to give you significant speed boosts once installed. If you are looking to boost speed performance, this is a product you will want to take a good look at. It helps to keep your framerate consistent no matter how fast-paced the action is, or how extreme the environment is. You’ll spend less time in loading screens and less time waiting for your new games or updates to download. However, if you do not have a PS4 Pro, then you probably should not worry about getting an SSD. The reason for this is because only the PS4 Pro has a SATA 3 connection, if you use this without SATA 3 compatibility, then you will not see the full power of this machine. When you first purchase a PS4, you are typically given a hard drive storage space of 500 gigabytes to 1 terabyte. While that may sound like a significant amount of space right now, today’s games are becoming significantly more in depth than they were a few years ago, and because of that, they are taking up a lot more space than they once did. Adding an internal hard drive will give you the ability to store more games to your PlayStation, and comes with the added benefit of faster loading times as well. Getting a better hard drive for your gaming console will allow your system to access all of the power that the developers put into, not just the game, but the console as well. This added speed and power will let your system render your surroundings quicker in-game, you spend less time on the loading screens and giving you an all-around better gaming experience. The main responsibility of a hard drive is to store your information on a computer, or as in this case, your gaming console (which really is nothing more than a computer optimized for playing video games). But merely having a hard drive with a high storage capacity does not necessarily mean that you have the best quality product. Hard drives spin at different rates, with the higher end models spinning faster than their lower end counterparts. 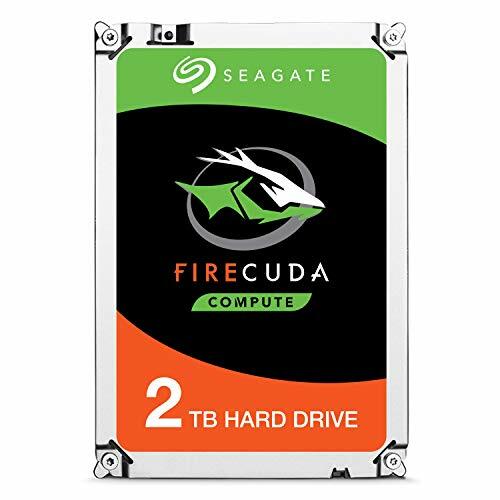 A significant player in the speed at which your hard drive will operate is the type of connection it has, for the purpose of this article we will be looking only at USB and SATA connection (if you want to read more on some of the other option read this article from Seagate). The first thing that you will want to do when deciding which hard drive technology you want to utilize is to determine what you are looking for on your hard drive. There are several different hard drive options, each of which has pro’s and con’s attributed to them. Let’s take a look at some of them. The single greatest attribute these hard drives have is an inexpensive way to add storage capacity to your PlayStation. These are traditional hard drives, and they will not add much (if any) speed to your console, but it will give you more storage space than the original. HDD’s are a tremendous option if all you require is additional storage. If you want to read more, check out our in-depth article covering the best hard drives for gaming. Solid state hybrid drives are a blend between the traditional hard disk drive and the newer solid state drives, offering an increased loading speed without the high price that goes along with solid state drives. The greatest selling point for SSDs is that you get some of the benefits of SSD’s, without spending the amount of money that you will for a solid state drive. However, you should not expect a significant jump in your consoles performance. External hard drives are drives that you can plug into the USB port of your PlayStation and download your games onto it. They are excellent choices for those who want to take their game progress with them. This is probably the most convenient and maybe even the most popular option for getting additional storage capacity on your PlayStation. These drives won’t be tethered to your device so you can take them with you anywhere you go. Solid state drives offer superior speeds when your system boots up from power off and offers decreased loading times. They help your machine perform at its greatest potential, but they will cost you significantly more than the other options available to you. For more information, see our article on the best SSDs for gaming. Your console will come stock with a hard disk drive installed already, if you are happy with the load times, install times, or boot up time of your system; then you would likely be just fine getting an HDD. They are among the least expensive hard drives on the market and still give you the extra storage space needed. Solid state hybrid drives are a great option for most PS4 owners because it gives you a speed boost during the loading screens and when downloading new games, without the exorbitant costs of solid state drives. An SSHD will not give you the greatest speed performance, but it will certainly decrease loading times in your games, and more importantly, it will help keep your frame rates consistent throughout the game by allowing your console to render your environment faster. External drives weren’t a viable option initially for the PlayStation 4, but with the 4.50 firmware update you can now plug in an external hard drive for extra storage room. If you travel extensively and want to take your progress with you, without having to bring your entire PlayStation along, then external hard drives are an excellent option for you. Solid state drives are the creme de la creme when it comes to hard drives, they offer significantly faster loading speeds, as well as substantially decreasing the amount of time it takes to download new games. With that said, if you have the PlayStation 4 original or the PlayStation 4 slim you won’t get much of the benefits of a solid-state drive because it is not SATA 3 compatible. But the moment the PS4 was introduced to the market PlayStation fans were finally able to utilize the benefits of SATA 3 technology. If you do want to get a solid state drive, you should expect to pay a premium price, but in return, you get a lot more time to enjoy your game. Alright, that’s enough tech talk for now. Let’s get into the best two terabyte hard drives you can find on the market today. Upgrading your gaming console can be a daunting task if you are not sure what you are doing, and hopefully, this article did a little to help. One of the biggest pitfalls people fall into when upgrading consoles (or any other upgradable computer) is trying to cut corners and products for the lowest price possible. Before you decide to buy either of these products you should make sure you get them from a reputable source, rather than looking for the cheapest option possible. If you have made it to the end of the article, chances are you are serious about getting the best possible hard drive upgrade you can find. But don’t worry so much about the stats and specs of each product, instead, make sure you get a hard drive that services your needs. It’s time to say goodbye to the days of figuring out which game you are going to delete when you get that new game that was finally released. You need an aftermarket hard drive. Each of the products listed here is reliable, and all of them will add enough storage to let you get all those games you’ve been waiting to play, and still, have room to download some of those PS Plus games released each month.